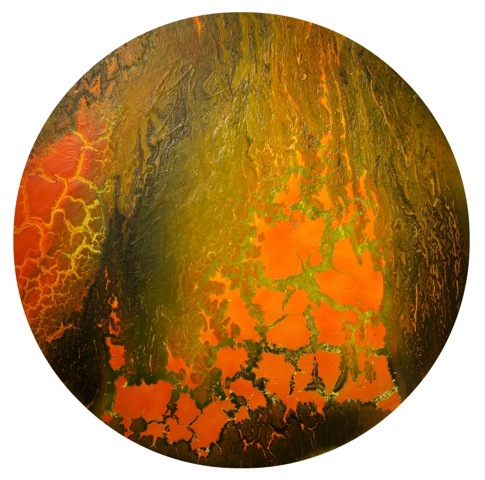 See Line Gallery presents the first Los Angeles solo exhibition from Coachella Valley-based artist Cristopher Cichocki, entitled Epicenter, including paintings, photographs and sculptures. 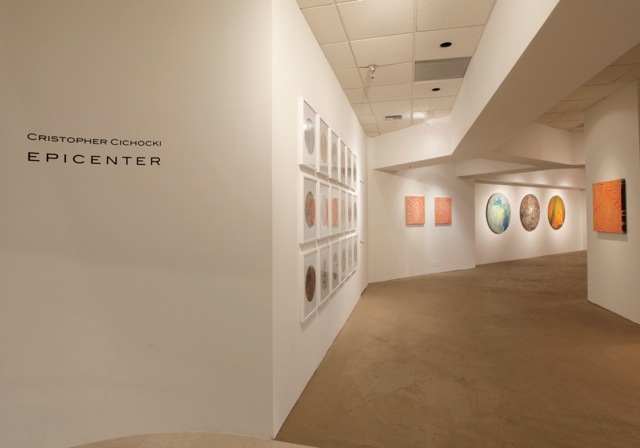 Epicenter is curated by See Line Gallery owner and independent curator Janet Levy. The Coachella Valley is a diverse Southern California desert region located along the San Andreas Fault Line, the “master” fault of an intricate network that cuts through California’s coastal region. Epicenter investigates the ephemeral nature of the San Andreas Fault as an existential meditation of time and space in constant flux. 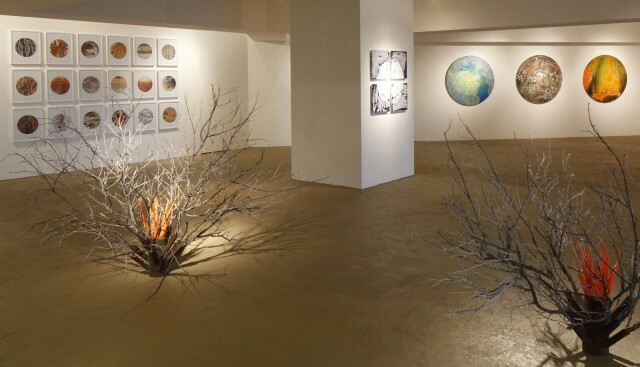 Epicenter showcase’s Cichocki’s ongoing body of work, which spans eight years and explores, intervenes, and comments on the Salton Sea and other desert regions. 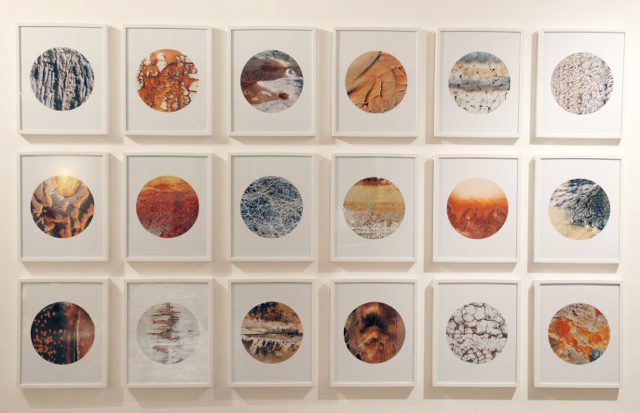 An extension of his studio, the open desert becomes the setting for momentary installations, paintings and sculptures, which he further frames through photographic fragmentation. 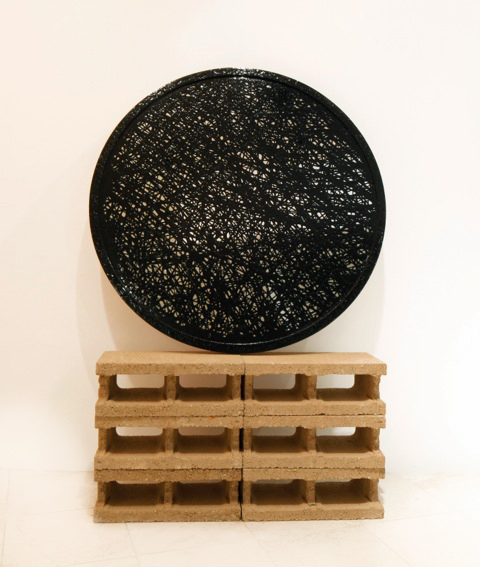 Through gestures of immediacy and raw materiality, Cichocki promotes an awareness of interconnection between continually shifting elements above and below the surface of everyday perception. “Post-Earthwork” landscapes, topographies and micro worlds are brought forth within a palate of acidic neon contrasted by arid earth tones and textures. 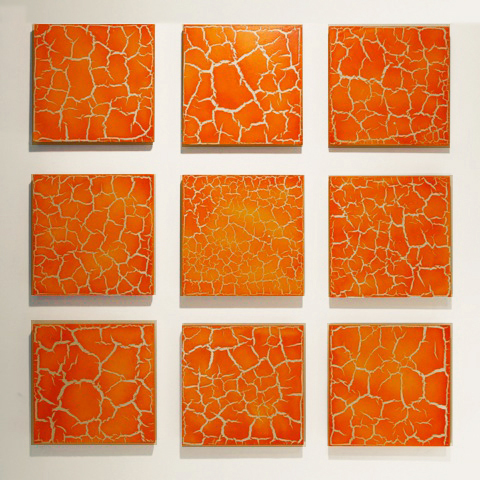 Within his “San Andreas Series” Cichocki has painted highly textural mixed-media panels reminiscent of cracked asphalt and desert earth which simultaneously suggest satellite topographies, both earthbound and planetary. Sculpturally Epicenter yields neon orange branches emerging from rusted steel foundations in combination with living cacti transplanted into cinder blocks. 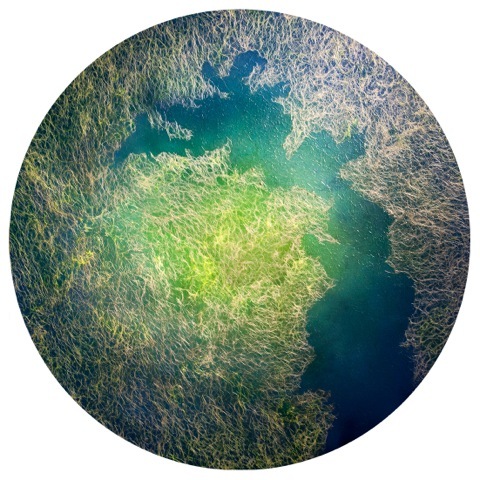 Cichocki will also present his ”Synthetic Organism” photographs, a large series of circular cropped prints abstracted from decaying desert terrain. 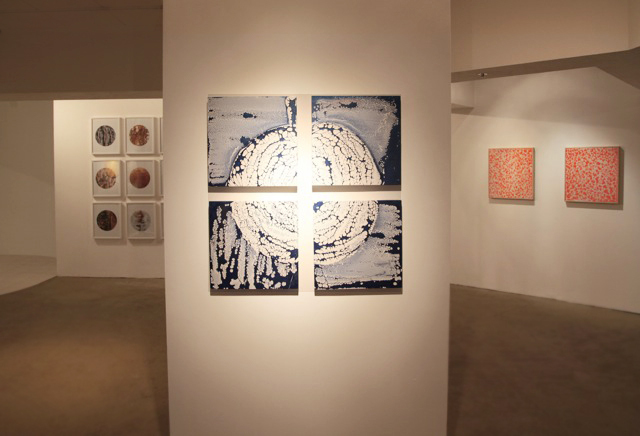 The perception of Cichocki’s painting and photographic works oscillate between telescopic and microscopic. A visual archetype permeates throughout Epicenter, illuminating nature as a symbiotic system of chain reactions. Sao Paulo, Brazil; Remains in the End Times.